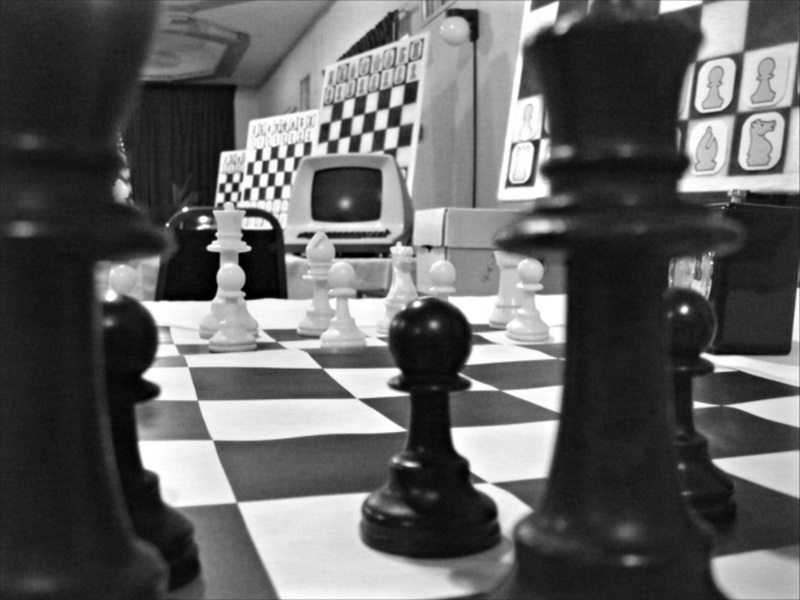 This article is a review of COMPUTER CHESS. In 4:3 (old school) TV ratio and in black and white, mumblecore supremo, Andrew Bujalski, delivers his first comedy. And effing hilarious it is too. In the same vein as DODGEBALL, SCRUBS and BEST IN SHOW, we are given privileged access to an insular group of dorky but hugely entertaining odd bods. 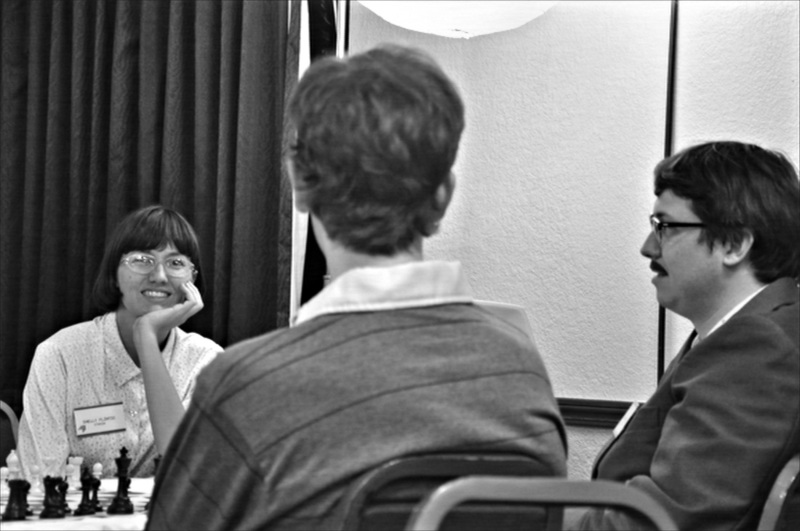 It is the turn of the decade, the 1980s that is, and a weekend retreat for designers of computer chess programs. Awkward and with poor social skills, I still rejoiced being in their company for 92 minutes. There is so much material gold to be mined, I mentioned to the writer-director after the screening how this could’ve been a pilot for a television show, and asked whether he planned on following up. Bujalski said if I had the money. If only Andrew, if only. The weekend commences with a panel discussion. A sort of state of the nation in this nascent world of artificial intelligence. There are the optimists and naysayers, the tone of humour set immediately – one of nostalgia and hindsight. 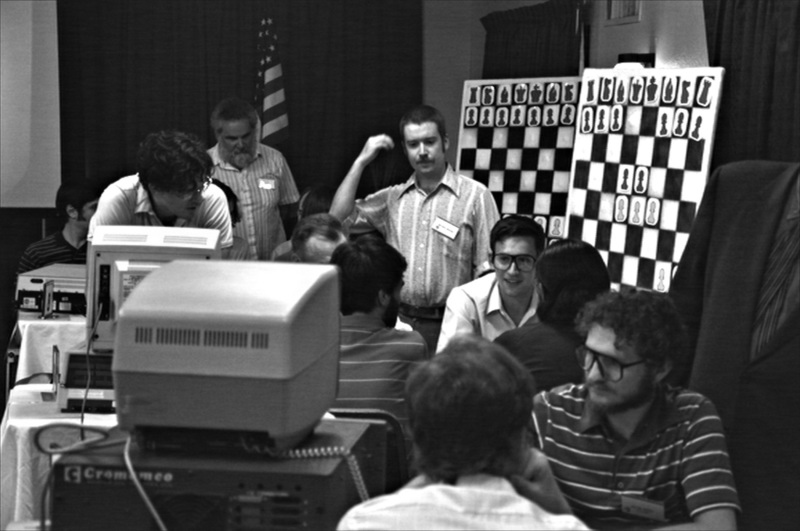 A claim, that it is only a matter of time before machines can beat humans at chess, is met with guffaws and shakes of incredulous heads in some quarters of the room. The format of the ensuing days will involve a tournament. 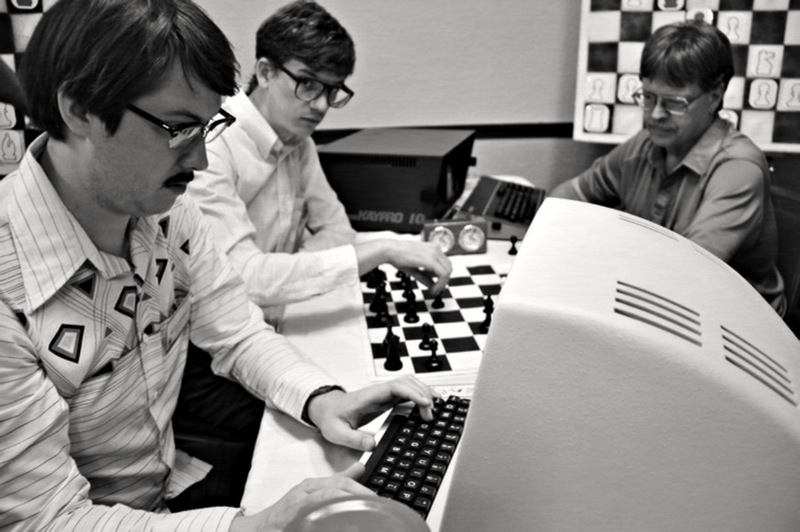 Each organisation and one independent programmer, Mike Papageorge, are to compete against each other for the prize of $7,500; as well as more kudos when it comes to entering the World Championship in London in six months time. The winning program will then take on the organiser and self-proclaimed “master”, Pat Henderson. As much as the head-to-heads are enjoyable, the real pleasure comes from the downtime – we watch delightful and excruciating encounters that you never want to end. The actors and the filmmakers are not mean-spirited, these are endearing characters, and I relished my time with them. 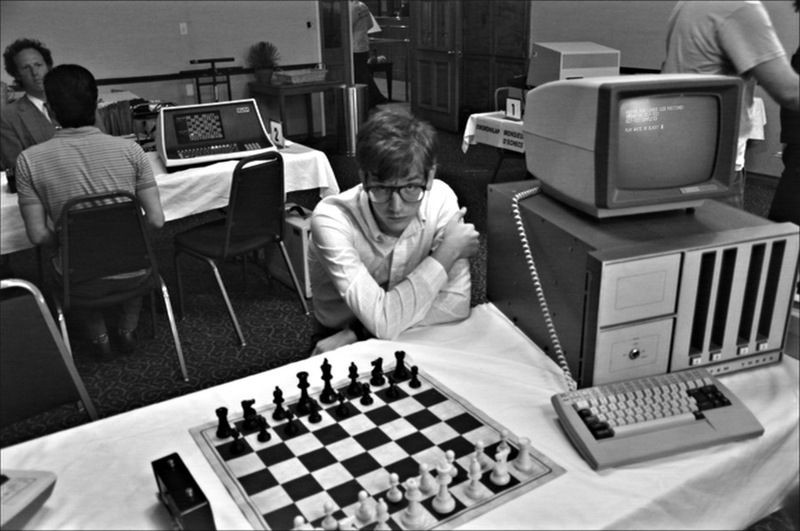 Romance, rivalry, enlightenment, COMPUTER CHESS is up there with the magnificent WONDER BOYS, about crucial days in our lives, albeit here tempered with the gentle sense of minor key. We have selected movies and television show below that we think will be of interest to you based on this review.